This is only going to be a short blog as I'm not feeling very well this weekend and I'm finding it difficult to co-ordinate my brain with my fingers! My gorgeous little cat, Piglet, was also feeling a bit poorly this week as well - we took her to the vet to be spayed as, although I love the kittens, I *really* don't want her to have any more! 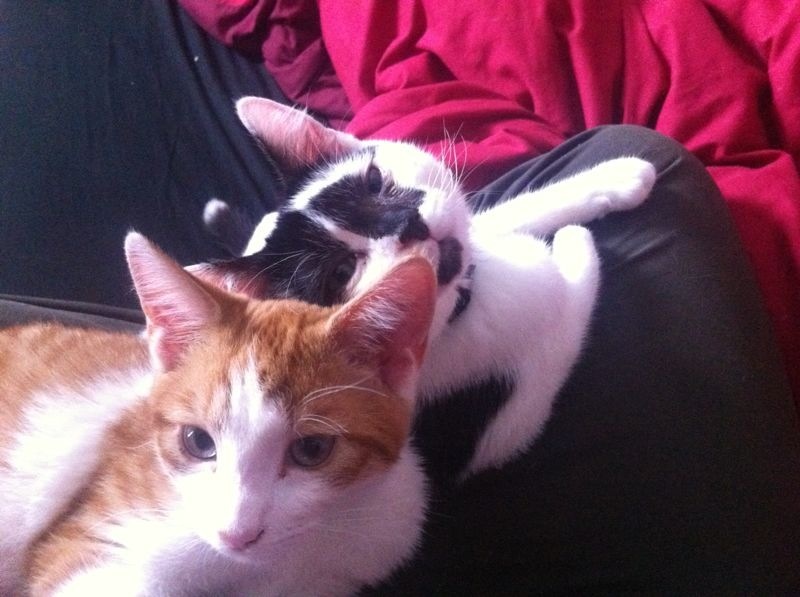 The kittens are gorgeous but I definitely don't want any more! 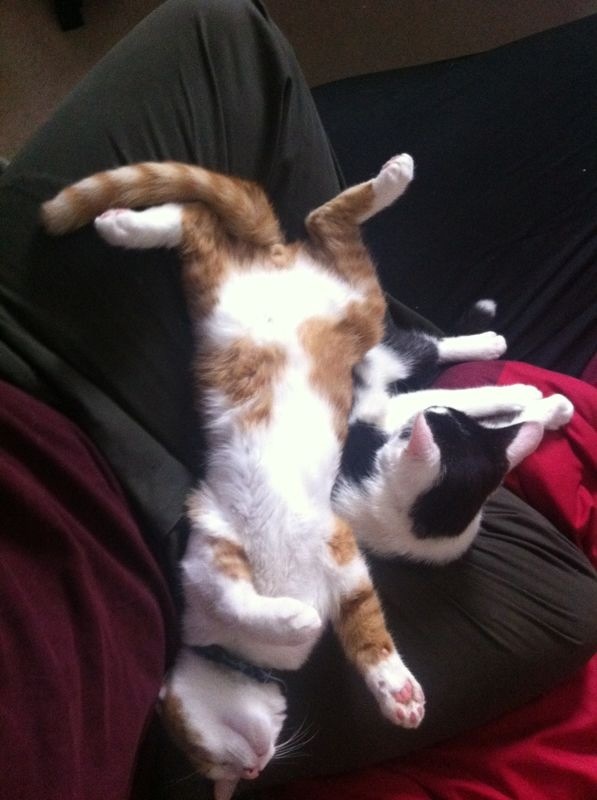 In Burlesque-related news, I have begun work on my new act. It is going to be in keeping with my style of upbeat, classic showgirl routines, with a bit of a twist. 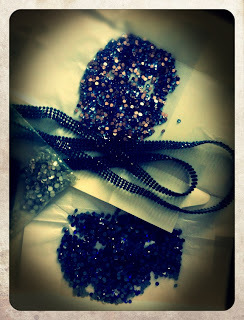 I ordered several thousand sparklies, and they arrived the very next day! On Friday I was performing at Rouge Bar, which was lovely - it's a gorgeous little place and the team there are wonderful. 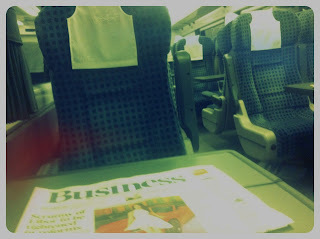 Plus, on the journey there, I got a first class carriage on the train all to myself! Mirror Picture! With Hayley Coppinger, Dan Serra, Scarlet Cuffs, Moorita and Ben Brown. 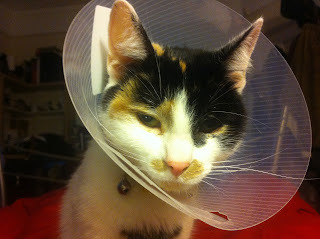 I love how grumpy-cute cats look when they're stuck in lampshade collars to protect them after an op.